Public health needs pharmacists and their teams. 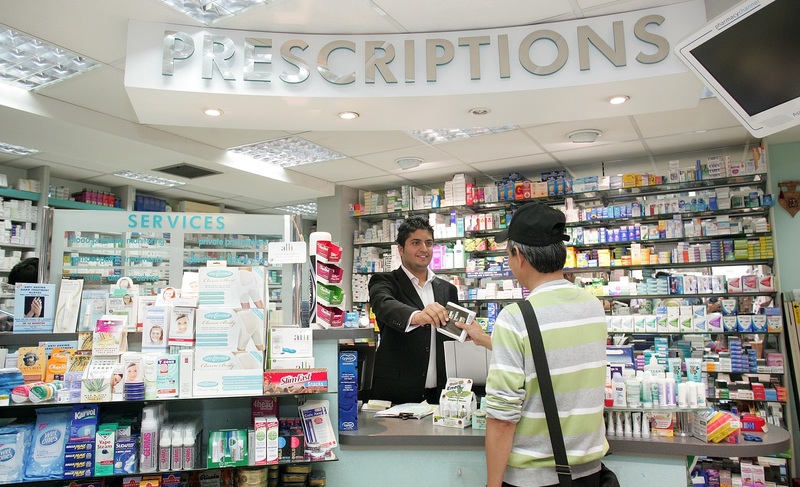 We know that over one million people visit pharmacies every day for a range of things: to buy products, ask for advice, dispense medicines. That’s an enormous opportunity to promote health across communities. Of course, we know that that pharmacy teams already have a great track record in promoting health and preventing disease. Over 9,000 pharmacies in England supported Smoke Free January this year, handing out Quit Cards and using this as an opportunity to talk to people about their smoking habits. They are well known for providing emergency hormonal contraception and chlamydia screening. Increasing numbers of pharmacists are also being commissioned to administer flu jabs. They help people to manage their health conditions by optimising the use of medicines and by providing healthy lifestyle advice. But there’s an opportunity for pharmacy to play an even bigger role in the prevention agenda – and this is what I’d like to explore in this blog. Why are we focusing on this now? I think there are three big reasons why it’s an exciting and promising time for pharmacy teams to take up the challenge. First, there’s a willingness to innovate and try out new models of care – across both health care and public health – to tackle the epidemic of chronic diseases. We’re seeing this in practice with the flagship new diabetes prevention programme, announced earlier this month by Public Health England, NHS England and Diabetes UK. The scale of the problem is such – millions of people in England living with undiagnosed and untreated hypertension, diabetes and kidney disease – that we need all parts of the system to support effective public health interventions. Pharmacy teams are already demonstrating their role in other innovative public health programmes, such as NHS Health Checks, blood pressure prevention, early detection and management and behaviour change, which are all, in their way, focused on reducing the risks of chronic disease. We need to make sure that pharmacists and their teams are encouraged to get involved, because that will help us to expand their reach and potentially target people who may not go to their GPs. We know there’s more to be done – on data flows, training, commissioning – to support pharmacists and teams to deliver these programmes. At PHE, we’re working to provide that support through tools and networks to share best practice. Second, pharmacy is, itself, leading the way with new models of patient contact. The Healthy Living Pharmacy (HLP) is a great example of this. These pharmacies include qualified ‘health champions’ who pro-actively reach out to people in their communities – both in store and in their visits to colleges, schools and businesses. There are now 1,000 accredited HLPs across the country with many more on track to achieve accreditation and 3,000 health champions. Early evaluation of HLPs (HLP pathfinder work programme) suggests that a person walking into an HLP is twice as likely to set a quit date for smoking and to go ahead and quit, compared with pharmacies that are not HLPs. Similar results are starting to be achieved for brief alcohol advice and weight management services. It’s exciting that a dedicated Healthy Living Task Group aims to accelerate the rollout of HLPs – with an ambition to have 2,500 of HLPs either accredited or have begun the process of becoming HLPs by April 2016. PHE is committed to the acceleration of HLPs across the country and the lead pharmacist within the Health and Wellbeing Directorate is taking the strategic lead for HLPs. Raising the profile of HLPs will require strong leadership, and relationships with key stakeholders - crucially with local authorities. This brings me to the third reason why pharmacy is rising up the public health agenda: with the transfer of public health functions to local authorities, there is a major opportunity to make the case for pharmacy as a partner in promoting public health. Many health and wellbeing boards and commissioners may not appreciate the extent to which pharmacy offers an effective way of delivering public health interventions. PHE is keen to champion the role of pharmacy and support its productive engagement with local government. In this spirit, I’d like to congratulate Cllr Jonathan McShane, cabinet member for Health, Social Care and Culture for the London Borough of Hackney, on his appointment as the new chair for the Pharmacy and Public Health Forum. As PHE has consistently argued, local government is ideally placed to draw on the assets and resources of local communities to tackle complex problems, such as unhealthy lifestyles and long-term chronic illness. Pharmacy is one of those assets, and we can’t afford to under-use it. Pharmacists will play a central role in our new community-based Falls Prevention programme (in Bracknell Forest).They are well placed to identify those at risk, give advice (eg: on the role medicine interactions in causing falls), and to refer on to other services.